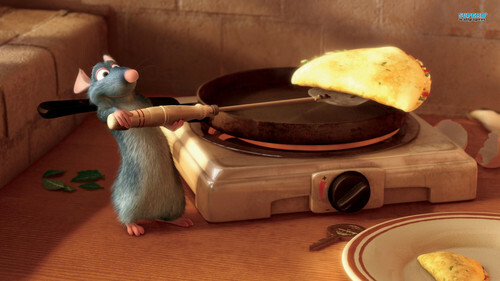 Ratatouille. . HD Wallpaper and background images in the Disney club tagged: photo ratatouille remy. This Disney wallpaper contains tamale. There might also be lunch, middagmaal, tiffin, dejeuner, lunch lunch, priset, gefrituurd ei, gebakken ei, barbecue, and barbeque.